Dr.Nina Roos says that our skin is a window into what’s going on elsewhere in the body, so it would be one of the first places we will notice if there is off in terms of our overall health. The skin around the eyes is highly delicate since it is five times thinner than the rest of the face. This makes the area under the eyes prone to swelling and puffiness, dark circles, dryness, and itchiness. These symptoms can be caused by numerous factors, both external and internal. Genetics is important for the health of our skin, as well as our lifestyle habits, which contribute to its appearance and might lead to various skin issues. Stress, smoking, and fatigue are a big no-no, as they are among the main causes of the tired-looking under-eye area, and sun-related damage makes the skin prone to dryness and dehydration. Yet, most commercial eye creams are very expensive, rich in fillers and chemicals that might lead to numerous adverse effects, and often fail to deliver the desired effects. 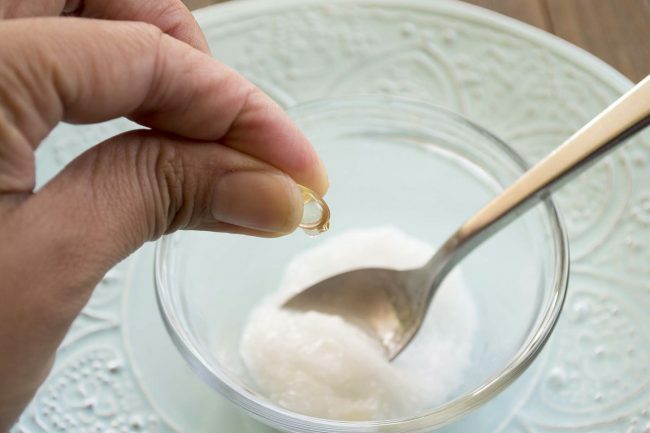 Add coconut oil to a glass bowl, and warm it up. Then, add the vitamin E capsules into the oil, and the frankincense oil. Stir well, and transfer the cream to a small container with a lid. Store it in the fridge. At night, before you go to bed, dab a small amount of the eye cream under the eyes. You can also apply it in the morning, but make sure you wait for 10 minutes before you apply makeup. The base of this moisturizing cream is the coconut oil, which has potent hypoallergenic properties. Vitamin E is a potent antioxidant that helps the healthy growth of the skin and prevents damage and wrinkles, while frankincense oil supports the healthy cell regeneration, treats dry skin, and prevent scars and stretch marks. You will be positively surprised by the effects of this natural eye cream!